Shop Whiskey by Style- Cask Strength, Moonshine, Discover Whiskey! When you operate a world class whiskey shop, you've got to be able to slice and dice your inventory. Looking for Bourbon? Sure, we've got that broken out. But want a good wheater or want to check out just cask strength (overproof) whiskey? Well we've got you covered there too. 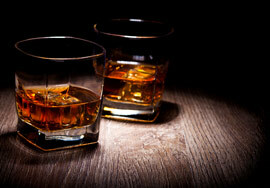 Find out why they call us "Whiskey Heaven" in this section here. Hand selected whiskey barrels by Ace Spirits mean you get the very best quality product at an attractive price. When you bill yourself as a whiskey shop, you damn well better believe in the products you sell. These here are some of our favorites- at least the distillers that would sell us entire barrels! When possible, we have our whiskey bottled at barrel strength and we only select barrels that we stand behind. Whiskey barrels can take some time to get in, so stay tuned for more arrivals!